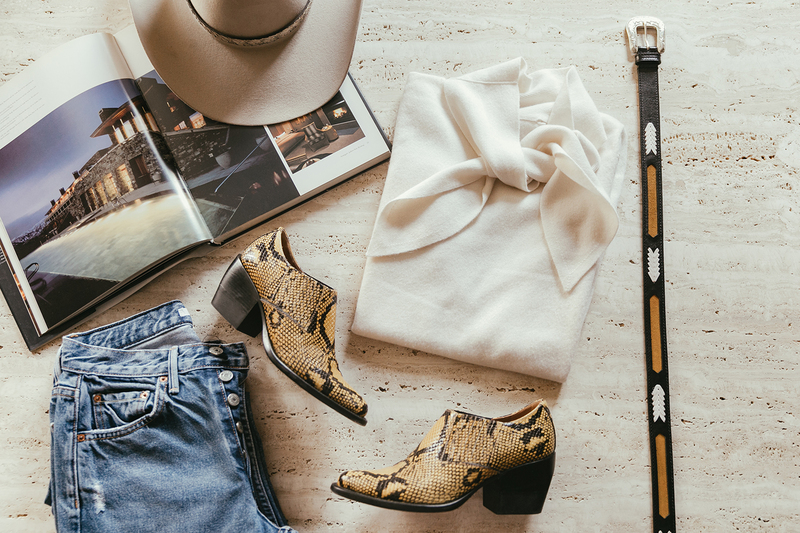 Get ready to giddy up this season with one of my favorite trends – the wild west. There are so many boot height options to choose from for this western style trend – ankle to over the knee and any point in between – and materials range from snakeskin, to suede, leather and embellished. Though I haven’t saddled up to the stores just yet, I have my eye on these fantastic options below. Because I already own these ankle Chloe boots from spring, (Who woulda thought? Last time I wore cowboy ankle boots was in college, Ancona boots anyone?) I am going for a knee height option. In keeping with this western style trend, another great accessory are the western inspired belts. My favorites are by Isabel Marant which by the way, hats off to her, as the western ankle boot has been part of her staple collection for years. Prada and Saint Laurent also showed some cool studded belt options. To really top off the look, here are some cowboy hat options to ride the trend. How will you wear the western style trend this season? Please comment below! I’m always afraid to personally embrace this trend – you’ve inspired me to give it a go.